“The Eco Market is dedicated to supporting, uplifting and showcasing Canadian green innovation, entrepreneurship, and community action. We have community building events every month, ranging from green networking events, large speaker showcases to pitch competitions, host a environmental science podcast as well as highly curated annual conference every April. Get involved with The Eco Market and make a lasting impact in the community, the environment and the planet we all call home! Come visit us and shop sustainable skincare gifts and stocking stuffers at The Eco Lifestyle Market. "Launched in August 2016. The Eco Lifestyle Market is a bi-annual marketplace, taking place in the summer and in the winter. Bringing together the best eco, handcrafted, sustainable and local vendors and artisans. To create a diverse and collective marketplace in which customers have first-hand access to Toronto's best and on trend green living and lifestyle products and services. Offering a curated selection of lifestyle, gift, beauty, baby and local food vendors. We bring the greenest and best eco and natural living vendors to one place. Making living greener easier than ever before!" A showcase of 100+ Innovative Companies from Across Southern Ontario Exciting developments from many sectors, including: Agri-food, Agri-tech, Manufacturing, Social Innovation, Sustainable Technologies & more! Dynamic Keynote Address by Jon Duschinsky, Founder of bethechange – Social Impact Consultancy – recently voted the world’s second most influential communicator in social innovation (second only to Bill Clinton)! For more information visit their website or the Innovation Expo website. Come on out to this awesome event in support of the Multiple Sclerosis Society of Canada. 10% off all of our proceeds will go towards supporting this amazing foundation. For more information visit their Facebook page or event page. Our CEO will be speaking at this year’s upcoming True Beauty Talk in Toronto. Sh will be speaking on two panels during the event along with several other panelists. The first panel will focus on sustainability and the second panel will focus on Skin Health as a Journey. "Join us this October for The Eco Market Fall Showcase, an evening to meet some of our handpicked KW green organizations and innovators, to network, and to learn. Featuring 9 local organizations in a Networking Market and 6 expert speakers, presenting on a diverse array of engaging topics regarding sustainability, green innovation and community action. Tickets ($30) include plant-based appetizers and healthy beverages. We’ll also have a cash bar for alcoholic drinks"
For more information, visit The Eco Market Fall Speaker Showcase event page. To learn more about buying tickets, click here. Come visit us at the Etsy Made in Canada market along with other crafters, collectors and artisans in local communities across the country. 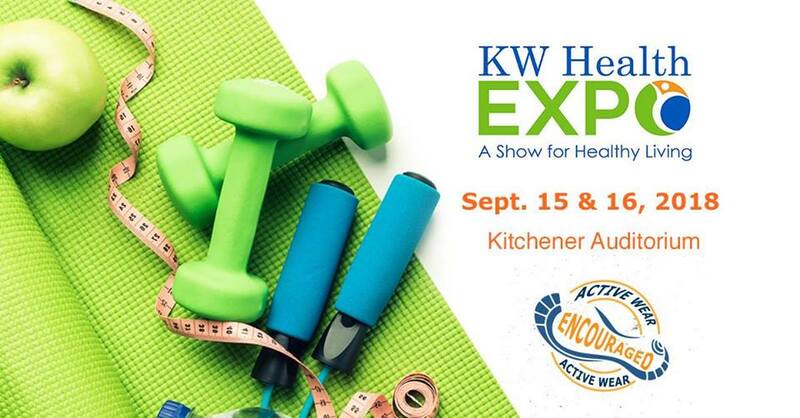 "The 2018 KW Health Expo will be the largest health and wellness consumer show in the Waterloo Region where you can learn about health care by some of the best and brightest within the industry. You will also be given the opportunity to browse the 80+ vendors for health and wellness related products and services or sit and enjoy one of the many presentations and workshops. You can also participate in a yoga, meditation or fitness class. This is will be a place where active wear is encouraged!" To see a full list of vendors, visit their website. Come visit us and chat sustainable skincare at The Eco Lifestyle Market in the heat of summer! Join us for Clean Beauty Night hosted by The Eco Well in Kitchener, Ontario! The night will include networking, a sustainability presentation, a vendor market (including Altilis Beauty! ), and much more! Come on out to the first EVER Guelph Makers Pop Up Shop on June 16th! 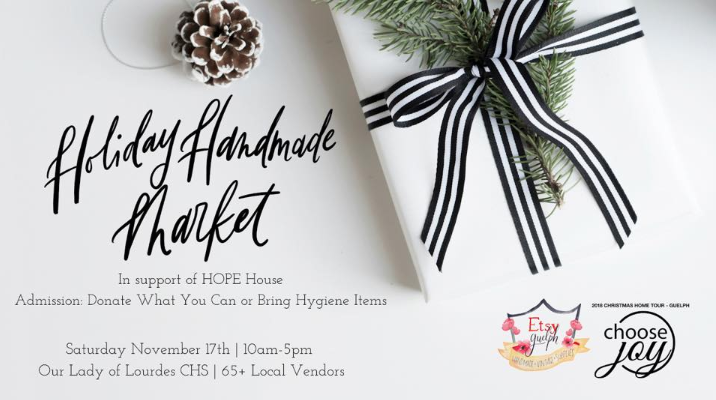 We will be exhibiting along with over 20 other local handmade artisans from this area! Admission is by donation (our choice charity will be announced closer to the event date). Join us on June 1st for an artisan Summer Market hosted at the Guelph Library! The key focus for the 2018 Annual Conference of the Natural Health Product Research Society of Canada is on Innovation at the NHP/Food Interface. This 3-day event will include numerous speakers who are knowledgeable on: Regulatory and Policy Modernization at the NHP/Food Interface, Exploring the Pathway from Innovation to Commercialization at the NHP/Food Interface, DNA-based Approaches & Applications, Product Quality, Respectful Use of Traditional Knowledge, NHPs and Cancer, Pharmacology & Pharmacognosy, NHPs in Disease Management. For the full program of speakers and the schedule, see here. Join us for a luxurious Mom and Me Facials to celebrate Mother's Day at Gilded Cage Boutique Market in Guelph, Ontario! We will be showing you how to use our 3-Step Skincare System to give each other luxurious DIY facials! Each attendee will receive a free 7 day trial pack to take home at the end of the event as well! Come visit us and other eco-friendly, sustainable vendors at The Eco Market on April 21, 2018 at the Waterloo Region Museum, hosted by Jen from The Eco Well. Kenna, our founder and CEO was recently featured on Jen's podcast chatting sustainability, innovation and cosmetic science, you can listen to it here. "The Eco Market is a celebration of sustainable businesses born right here in Ontario! Bringing you eco-friendly vendors, expert speakers & panelists from the region, and delicious local food & drinks! We're firm believers in supporting local for a cleaner environment and more enriched community. That's why this event is free to attend, and carefully curated to bring you some of the best sustainable businesses right here in our region. The Eco Market will be held on April 21, 2018 at the Waterloo Region Museum." Join us on April 7th at Ladies Day Out for a day of vendor shopping (with an Altilis Beauty booth! ), workshops, a fashion show, and more! All proceeds raised from this event will go to support Michael House, an amazing organization in our community that helps to assist pregnant and parenting young women in our community. The 10th annual EcoHealth Conference will take place on Saturday, March 24th, 2018 at Fleming College (Frost Campus) in Lindsay, Ontario. Our objective is to inform conference attendees about sustainability and encourage them to take a systems thinking approach to the sustainability of our communities - locally, regional, and globally. The Partners for International Women’s Day have been organizing annual sold-out “Ignite. Empower. Innovate.” events in honour of International Women’s Day since 2013. This International Women’s Day, we invite you to an exciting evening of celebration featuring dinner, a vendor marketplace and special guest speaker: Juno award-winning artist Susan Aglukark. All ALTILIS beauty® products are made with powerful skin rejuvenating phytochemicals extracted from breadfruit (Artocarpus altilis) flowers sourced sustainably from Samoa.